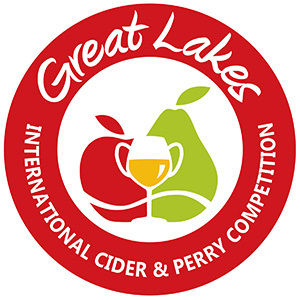 1) The 13th Annual Great Lakes International Cider and Perry Competition (GLINTCAP)—the world’s largest cider judging with nearly 1,400 entries—releases its Best in Class awards. Full medal results will be released on Friday, May 25th. 2) Mike Gillen of The Cider Table profiles the efforts of Pittsburgh’s Mike Sturges in A Few Bad Apples: From Forgotten Fruit to Sustainable Communities for Cider Culture. 3) Cornell research is growing the hard cider industry in New York spotlights the work of Greg Peck to conduct innovative research for the state’s cider industry. 4) Washington State University developing orchard system for mechanical cider apple harvest that is inspired by technology from the raspberry industry. 5) Vermont’s Shacksbury Cider encourages you to Plant Your Own Lost Apple Trees. 6) Notable profiles: Champlain Orchards (Vermont) and Dressler Estate (Pennsylvania). 7) Phil Warren of London’s Hoxton Cidersmiths asks Does the consumer know what a craft cider is? Do the cidermakers agree what a craft cider is? What can we do? 8) The Ciderologist discusses the need for a common language in We Need to Talk about Cider. 10) Along Came a Cider reviews Woodchuck Pear Ginger and Sundstrom Cider’s Liminal. Cider Says reviews Moonlight Meadery Thirteen 5. The Milled Apple reviews Wyndridge Crafty Hopped. The Cider Drinker reviews Orchard Thieves. And Cider Explorer reviews Abavas Rabarberu Dzirkstvīns Brut, Mac Ivors Vintage Reserve Cider, and Trabanco Sidra Natural.